General Motors is recalling the 2015 Chevrolet Colorado and GMC Canyon midsize pickup trucks over an issue that can cause the loss of power steering assist. The defect: a poor electrical connection within the steering gear connector may cause a loss of power steering assist. The hazards: a loss or reduction in power steering assist may increase the risk of a crash. Number of vehicles affected: 2,988 (United States figure). The fix: GM will notify owners, and dealers will replace the steering gear pinion sensor cover assembly, free of charge. The manufacturer has not yet provided a notification schedule. 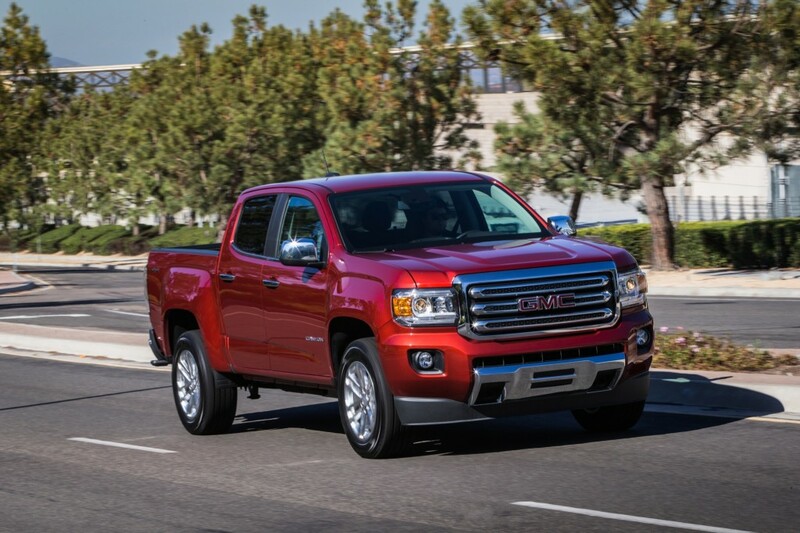 Owners should: customers looking to find out if their vehicle is included in this Chevrolet Colorado and GMC Canyon recall should visit recalls.gm.com. There, owners will be able to enter their Vehicle Identification Number (VIN) to see any open recalls as well as customer satisfaction programs. If the vehicle is part of the recall, customers should take it to a General Motors dealer. Owners can also contact Chevrolet or GMC customer service with questions by using the following information. I read your blog post entitled “General Motors Recalls 2015 Chevy Colorado, GMC Canyon Over Power Steering Loss Issues”. The defect is a poor electrical connection within the steering gear connector may cause a loss of power. I was driving on the freeway to the GMC dealer for a whole other issue all together when I lost my power steering. They said it was my “steering gear” and it needs to be replaced. They are ordering it from Canada. Covered by my warranty. Only has 26,000 miles. I just took it to the dealer for the fifth time after this issue happened again, it actually happens almost every day now. The previous times I took it in they could not find a problem with it, this time I went in with this information. Long story short, they say it’s not the electrical connection but it’s the power steering gear, and it will be $2,500 to fix. This will be the last Chevrolet I’ll every buy, trading it in for a Ford Ranger as soon as it comes out. Go to https://www-odi.nhtsa.dot.gov/VehicleComplaint/ and file a complaint. Let make GM expand the recall! I had a 2015 GM Canyon built in december of 2014, the power steering failed 2 times and i refused to take the truck back the second time. GM bought the truck back from me a month ago for $31,000, it was a 2015 4×4 SLT with 64,000 miles. James Im having the same problems with my 2015 Chevy Colorado that I also bought in December of 2014. Can you provide me with more information about what happened and how you resolved it please? I also had this issue on my 2015 Canyon. I had it repaired and I had to pay for it initially because my 2015 wasn’t included, for some reason. Eventually, I got the recall notice and did get reimbursed. What I’m finding now though is that my steering wheel now has a large amount of play in it which didn’t exist before. I brought it back into the shop and they want to charge me ~$800 to fix it, saying the steering column needs to be replaced, which is what has the slack. Is it possible that driving the truck without the power steering, when the power steering went out, could have caused the slack in the steering column because of higher load/pressure in the turning? We have a 2015 Chevy Colorado, but it was built prior to the recall dates. They state that it will not be covered under the recall. And our power steering keeps going out….